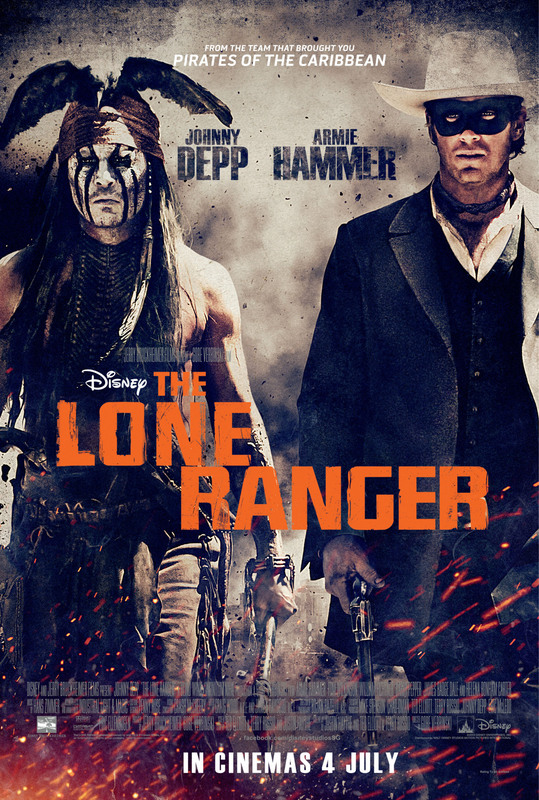 From the team that brought you “PIRATES OF THE CARIBBEAN”, now comes Disney/Jerry Bruckheimer Films’ “THE LONE RANGER”! I don't care what show this is, or even that Johnny Depp is no longer a "savvy-ing" pirate. THIS IS A JOHNNY DEPP MOVIE! One of my all-time favourite Hollywood actors, apart from Leonardo DiCaprio and umm..Ryan Gosling haha. That in itself, is already the biggest incentive to watch a movie. I often do that. Spot my favourite actor and pester the kareshi to watch it with me. When questioned what the movie is about, I usually reply with a "I don't know haha!" Okay I digress, we'll go back to talking about The Lone Ranger. Yes this time Johnny's back, not as a pirate but as a Native American spirit warrior, Tonto. Just the thought of him being a spirit warrior already cracks me up. You can always count of Johnny Depp to take on the various kooky roles and put up a superb performance. I am definitely looking forward to this movie! If you need further convincing, how about we take a sneak peek at the latest movie trailer? THE LONE RANGER” also stars Tom Wilkinson, William Fichtner, Barry Pepper, James Badge Dale, Ruth Wilson and Helena Bonham Carter, and is directed by Gore Verbinski and produced by Jerry Bruckheimer and Gore Verbinski. So hold on tight for a thrilling ride infused with adventure and well-timed humour, we're going on a wild wild adventure with Tonto (Johnny Depp) the spirit warrior! 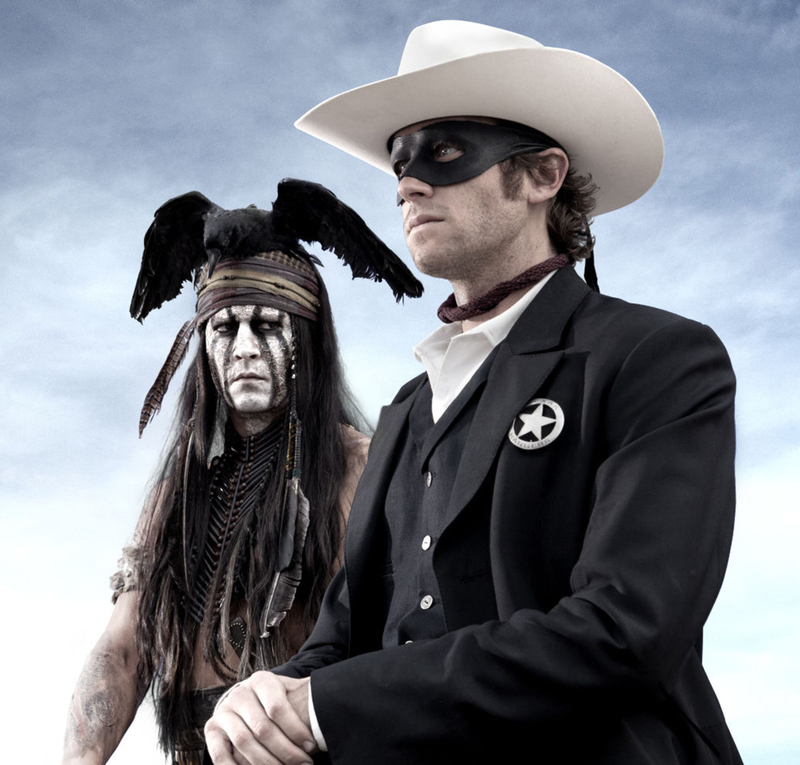 Catch Disney’s “The Lone Ranger” in Singapore cinemas this 4 July 2013! For more updates, like the Official Walt Disney Studios Singapore Facebook Page, follow@disneystudiosSG and subscribe to the Official Disney Studios Singapore YouTube Channel!